Hours: Tuesday thru Saturday 8:30 am to 5:00 pm. 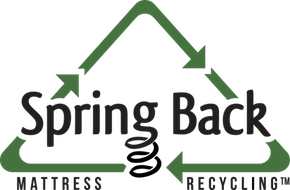 NW Furniture Bank helps restore hope, dignity and stability in our community by recycling donated furniture to people in need. Willing furniture store partners and local donations provide a steady source of furniture which would otherwise end up in the dump or sold at a loss. We serve victims of domestic abuse, people suffering loss from fire and natural disasters, foster children and especially families coming from transitional housing who are trying to rebuild their lives. Warehouse team members help support the operations of NWFB by do everything from helping with deliveries and pickups, stocking the warehouse floor, cleaning furniture, helping Hope Furnishings, organizing the build shop, and inventory. Warehouse team members are an essential part of the NWFB Team. NW Furniture Bank is proud to be an equal opportunity employer, and we welcome applications from any qualified and interested candidate. At NW Furniture Bank, we are committed to fostering an inclusive, accessible environment, where all employees, volunteers, clients, donors, and vendors feel valued, respected and supported. We are dedicated to building a workforce that reflects the diversity of our communities in which we live and serve. If you require an accommodation for the recruitment/interview process (including alternate formats of materials, or accessible meeting rooms or other accommodation), please let us know and we will work with you to meet your needs. Let us know if there are any accommodations that would make the job application process more accessible to you.